Apparel Desk: American tariffs on Chinese-made goods have led to a rapid shift of contract manufacturing to ASEAN (Association of Southeast Asian Nations) countries, such as Vietnam and Thailand. Even though, the increase in FDI in this bloc has been underway for a few years, the trade war is driving even more capital into the region. A red-hot economy, business-friendly policies and a Communist party led by free-traders are the incentives Vietnam is using to attract global investors amid the US-China trade war. The country has already made a head start. It began making athletic shoes and sportswear for Adidas, Nike and other firms in the 1990s. Samsung now makes most of its mobile phones in Vietnam. The nation has become the chief source for the world’s largest phone producer, while the company is Vietnam’s largest employer. Like Vietnam, Thailand too believes that the US-China trade war is good for its business. The country has growing clusters of vehicle assembly plants for Japanese, US, and Chinese auto companies. It also makes components for tier 1 suppliers. Panasonic is joining the latter by shifting production of auto stereos from China. Meanwhile, Thai electronics maker SVI has been sifting through requests from firms which, until now, had their work done in China. Not this entire shift from China to Southeast Asia is in high-tech or high-value goods. Cambodia captured the bicycle production for U.S.-based Kent International, other light manufacturing for export, such as in apparel and furniture, is also picking up across ASEAN countries. 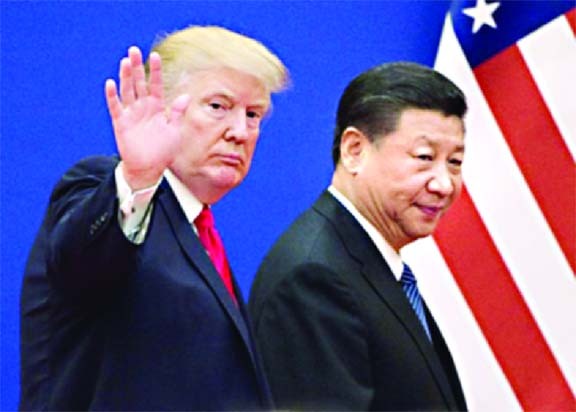 The US-China trade war has affected key players’ outlooks as well as results with 18.5 per cent either moving their production to Southeast Asia or considering it. Attendees at the Asian Financial Forum in Hong Kong, held early this year, noted 39 per cent of good investment returns to come from Southeast Asia, 35 per cent from China and 16 per cent from the USA. Labor costs have been a fundamental driver behind the shift of manufacturing to Southeast Asia. ASEAN wages can run as low as one-third to one-half those in China. Also, majority of industries are incorporating new technologies and smart automation. However, there are a few challenges that need to be tackled. Tech skills need to improve in many ASEAN nations including Vietnam and Thailand. Infrastructure also needs to be built across the nation as ASEAN countries are facing an increasing infrastructure deficit mainly due to rapid urbanisation and population growth. Moreover Southeast Asia is not entirely safe from the effects of the US-China trade war. The region is likely to suffer in the short run from lower trade volumes and a lack of investor confidence. As both the US and China are major export markets for Southeast Asia, lower trade volumes from China negatively affected countries that are more reliant on international trade, like Singapore, Malaysia, Thailand and Vietnam.